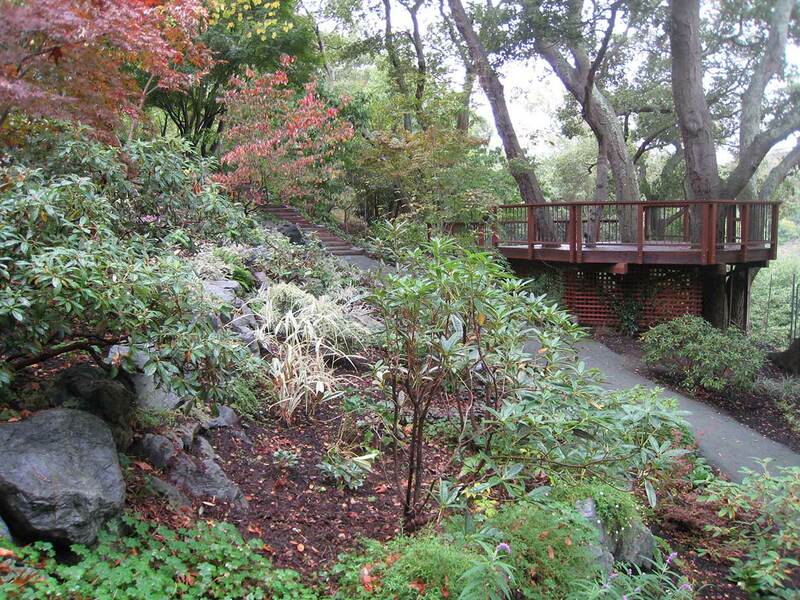 A 40-step staircase descends to a shady path and down into a bird-lover’s tranquil backyard haven. 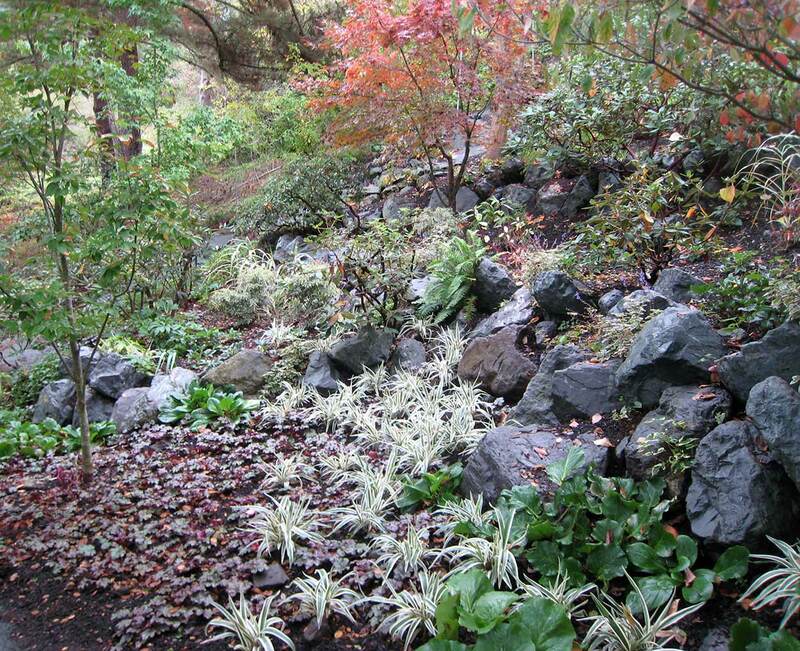 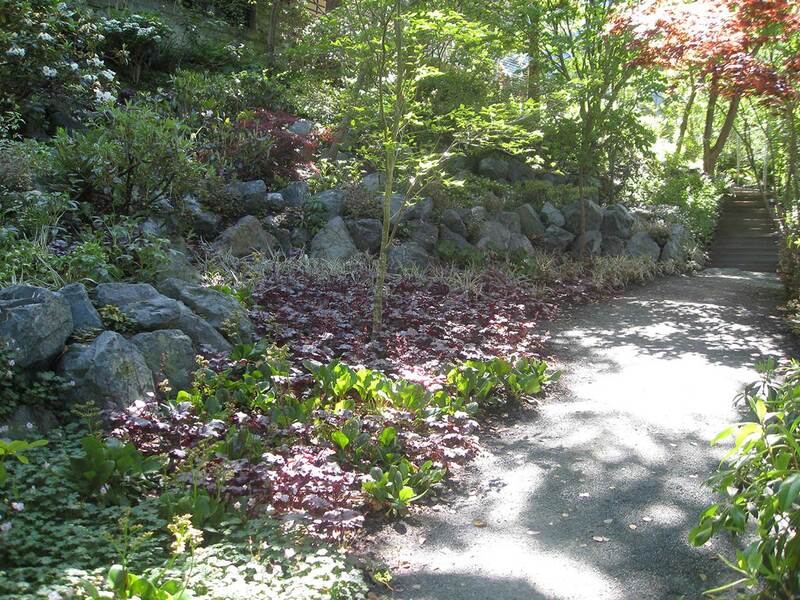 Tumbling drifts of purple Heuchera and variegated green-white Dianella soften outcroppings of cool blue-gray boulders along the sloping walkway. 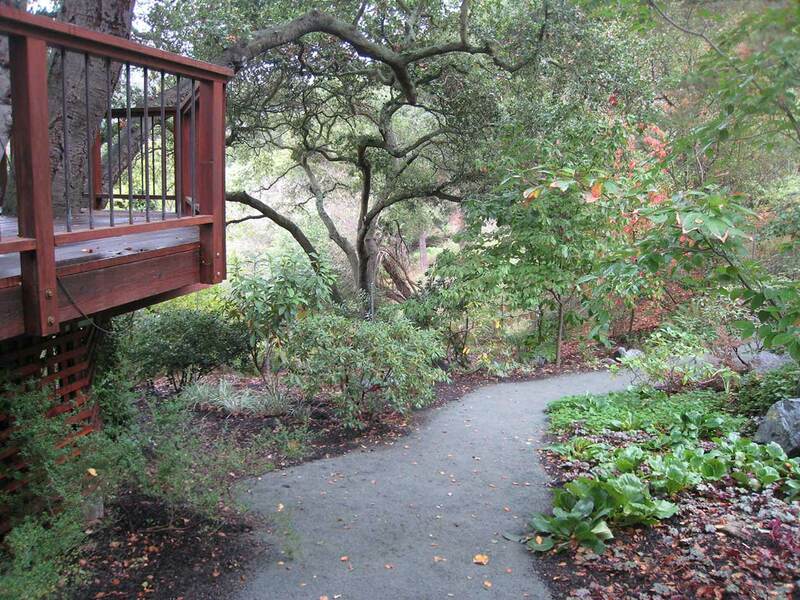 The elevated deck encircling majestic Coast Live Oaks receives a much-needed renovation—with stain color selected to match autumnal hues. 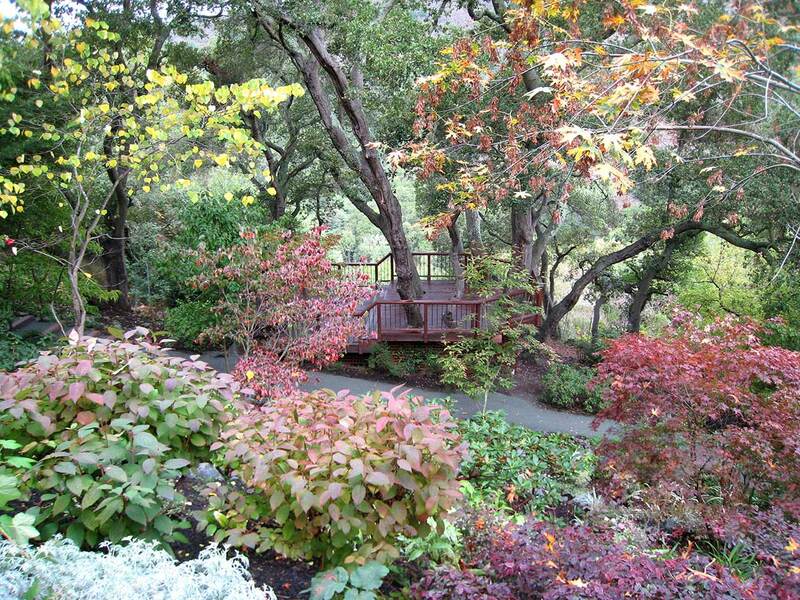 Adding mature Rhododendrons, Dawn Redwood, and Dogwood trees weaves a tapestry of color and provides a welcoming avian habitat.